Canadian based Ungalli Clothing Co. describe their brand as 'a fierce determination to change the way people think about their clothes', offering a range of casual and active wear made from recycled plastic bottles, recycled cotton, and scraps from cotton factory floors. Based out of Thunder Bay, Ontario, Ungalli Clothing Co. designs and produces a collection of t-shirts, sweaters, hats and tanks using 100% sustainable materials. I first heard of Ungalli Clothing Co. on Instagram, intrigued by their designs inspired by African nature, and the recycled material used to produce them. The two ladies behind Ungalli Clothing Co. are Hailey and Bree Hollinsworth, sisters born and raised on a farm in Northern Ontario, Canada surrounded by horses, hayfields, and the scenic Kaministiquia River. Our mother read us a story every night about a group of African animals struggling through a great hunger. 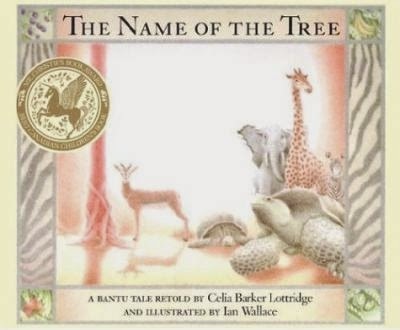 The childhood story that inspired our business idea is called The Name of the Tree by Celia Barker Lottridge. The story takes place during a drought in Africa and none of the animals can find food or water. All the jungle animals decide to work together to find food and they come across a tree filled with luscious fruit. The branches are too high for any of the animals to reach and the tortoise remembers his great, great grandmother telling him to chant the "name of the tree” to get the branches to come down. Only the king of the jungle knows the name of the tree and all the animals must come together to find the king. After finding out the name of the tree, they all chant the word and see the branches lower before their eyes. The name of the tree is Ungalli and it is seen as the animal’s saviour from starvation. This is exactly the message Ungalli Clothing Co. wants to represent. We want our customers to understand that we need to work together to make this planet a happier and healthier place for all. 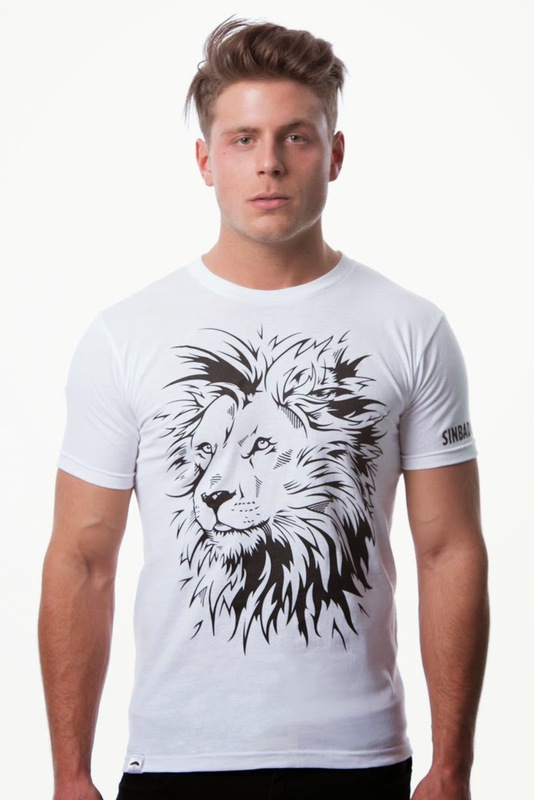 Who designed your clothing brand artwork and will there be more designs in the future? Ungalli is incredibly lucky to have such a talented graphic designer as part of the team - Jordan Danielsson of Lost Art. 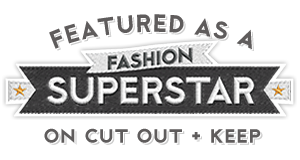 Jordan is responsible for all custom clothing designs and product layouts. Jordan has already established quite a reputation and continues to emerge as a leading creative mind in the ThunderBay area as a graphic designer, creator of his own clothing line (Lost Art),and as the designer of Ungalli Clothing Co. There are many more exciting designs in store for the future including 3 new ones that will be printed for Christmas 2014 on hoodies, zip-ups, and long sleeves. Ungalli’s vision could not have come to life without Jordan! Do you only sell online or do you stock in stores / sell at markets? Ungalli sell’s online as well as at markets, carts and kiosks in malls, with plans to sell wholesale into stores where the brand will be always be available. One of Ungalli's goals has been to keep all production in North America. So far we have managed to keep everything within North America, other than our trucker hats which we have imported. Everything else is produced in West Virginia and North Carolina, USA. Do you donate a percentage of your sales to charity? We donate $1 from each sale of specific charity inspired products. So the lion 'Sinbad' shirt will raise $1 from each one sold o Sinbads daily care, and the Born Free Foundation's future rescue missions. The sale of footprints and Gary Oak shirts go towards the Nature Conservancy of Canada. What do you think is the greatest challenge in running an eco/ethical clothing brand? The greatest challenge right now is competing with “green washed” products. Greenwashing is when a company or organization spends more time and money claiming to be “green” through advertising and marketing than actually implementing business practices that minimize environmental impacts. 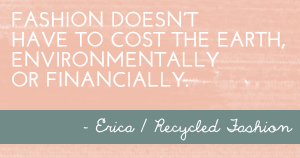 It’s really hard for consumers who are doing their best to be kind to the planet to navigate through the “eco friendly” clothing world. Having said that, consumers are getting better at spotting green washed products, and we are always excited to meet customers who truly understand the impact they make by choosing recycled or upcycled clothing. What are the future plans for Ungalli Clothing Co.? The Ungalli team is dedicated to creating a line of sustainable and casual clothing that defies all misconceptions that eco friendly clothing is “earthy” or “crunchy”. Doing good for the world by changing what you wear, does not mean you have to sacrifice your style and the way you express yourself to the world. We believe that sustainable fashion should be suited to your everyday life, no matter where that life may take you. Ungalli plans to keep moving with fashion forward designs, connecting with new charities and organizations we can help, educating people on sustainable fashion, and adding more variety to our line. This winter we have winter hats, scarves, hoodies, zip ups, long sleeves and jewellery in the plans too. I love my Ungalli long sleeve tee, you can win one too ..
Hailey and Bree have kindly offered to worldwide giveaway a Ungalli Clothing Co. clothing product to one Recycled Fashion reader. To enter, follow the steps below. I love the "Sinbad- Men's Long Sleeve ". It looks very comfortable! RECYCLED WOMEN'S PINK V-NECK is my favorite product. First of all, I love the cool pink color of the top. It looks so comfortable and the fabric looks so good. Hence I prefer it. I love "Sinbad" Women's Long Sleeve.